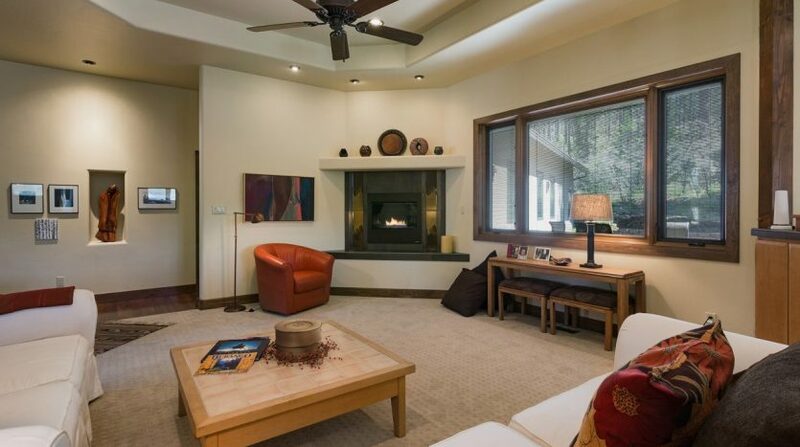 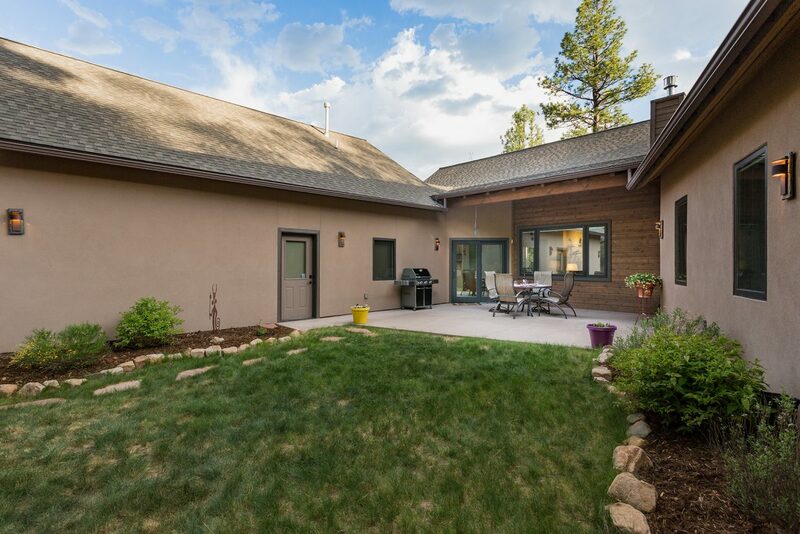 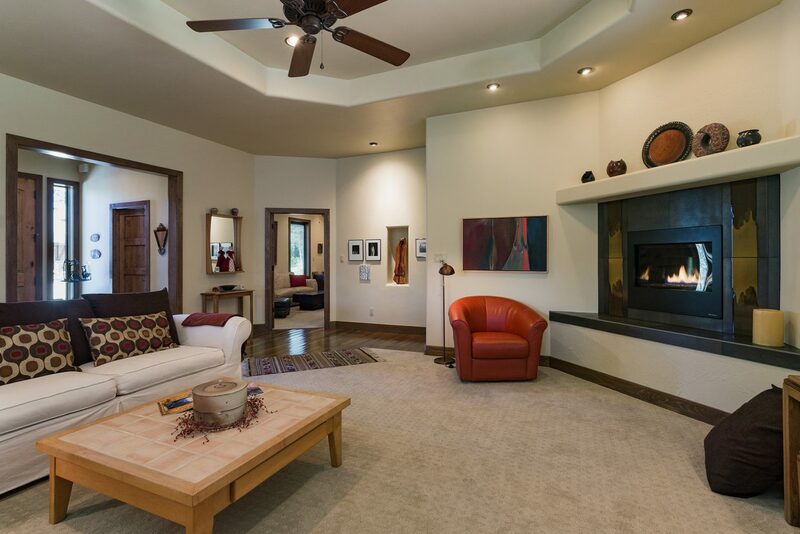 Colorado living at it’s finest in this SINGLE LEVEL custom built Edgemont Highlands home at the end of a quiet cul de sac. 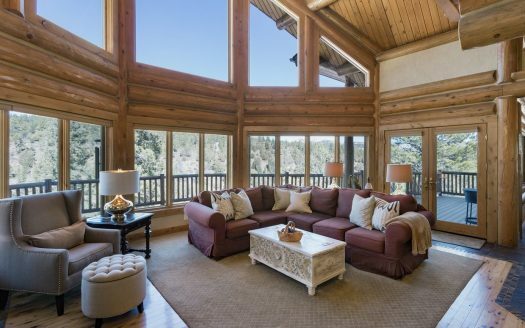 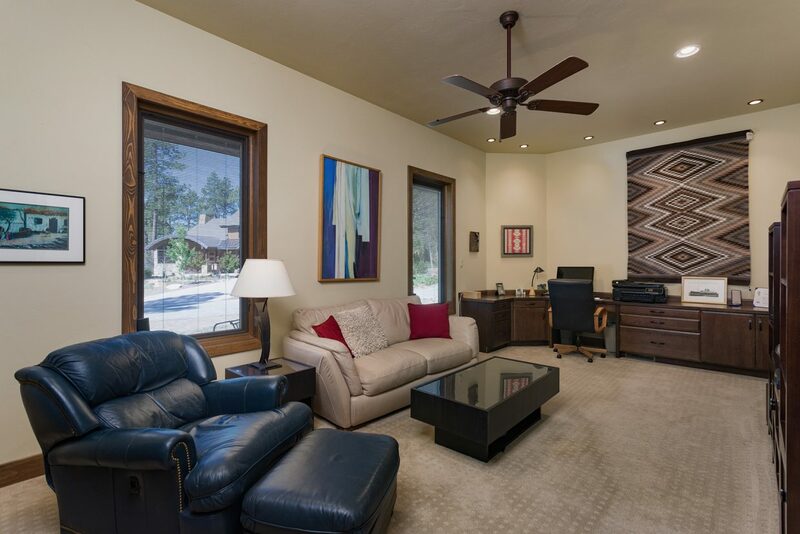 Right as you enter you will take in the pine views from the elegant great room with high coffered ceilings and lighted art niches throughout. 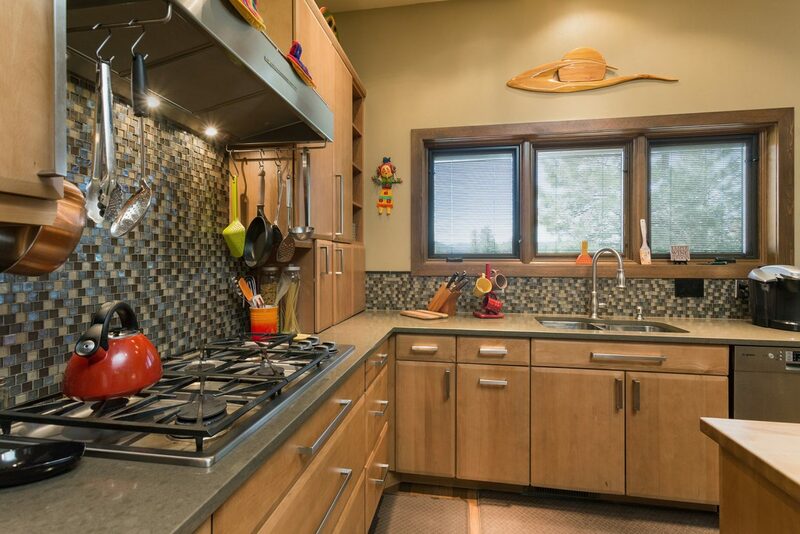 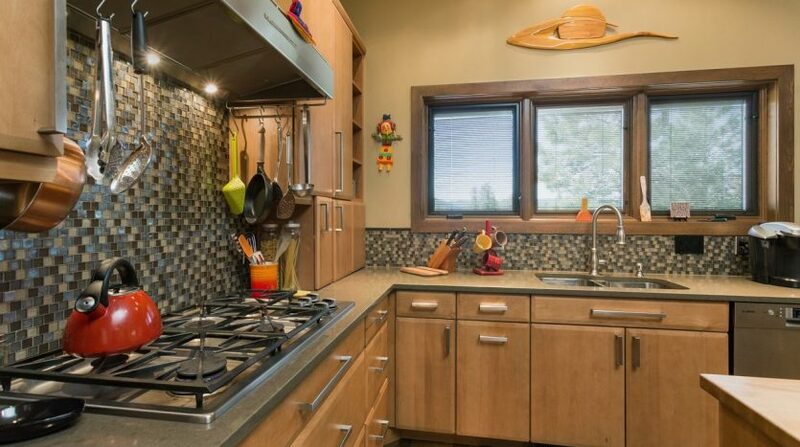 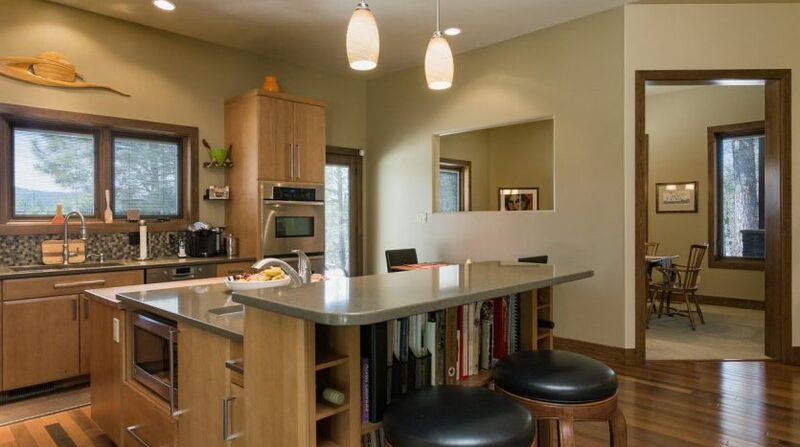 The gourmet kitchen has everything for the discerning chef including quartz countertops, large island with prep sink, a Dacor range, double ovens and Bosch dishwasher. 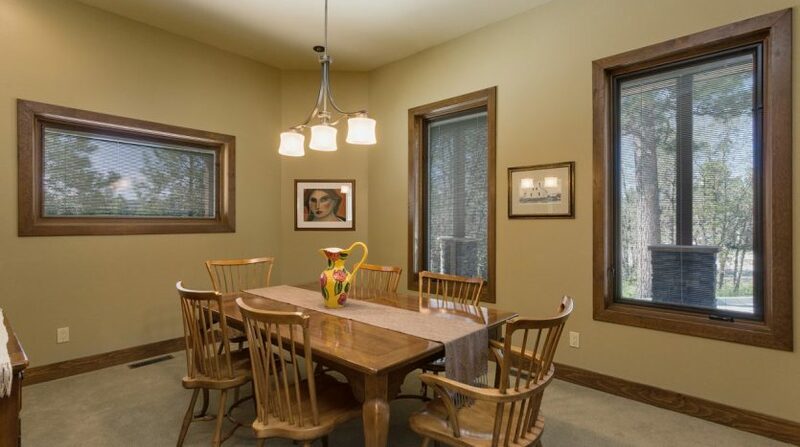 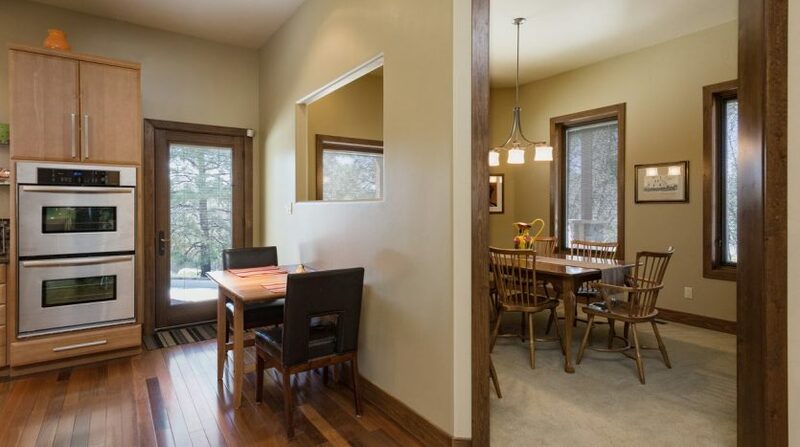 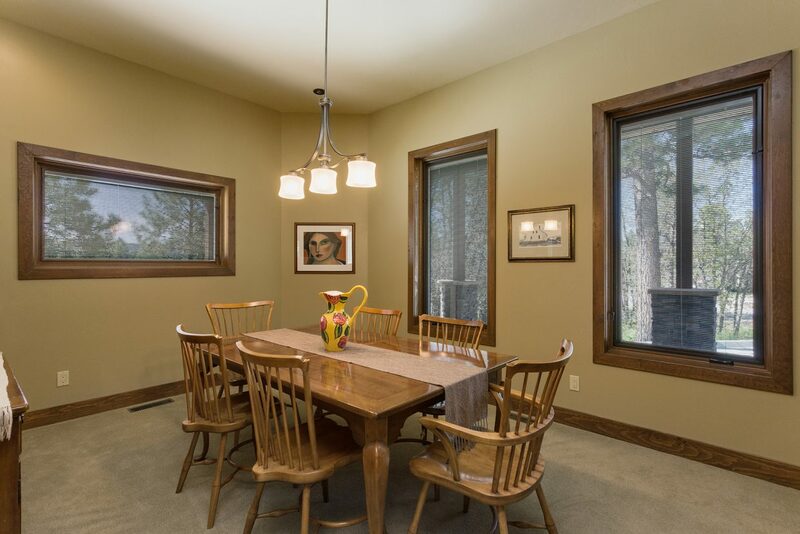 A separate dining room is an added bonus. 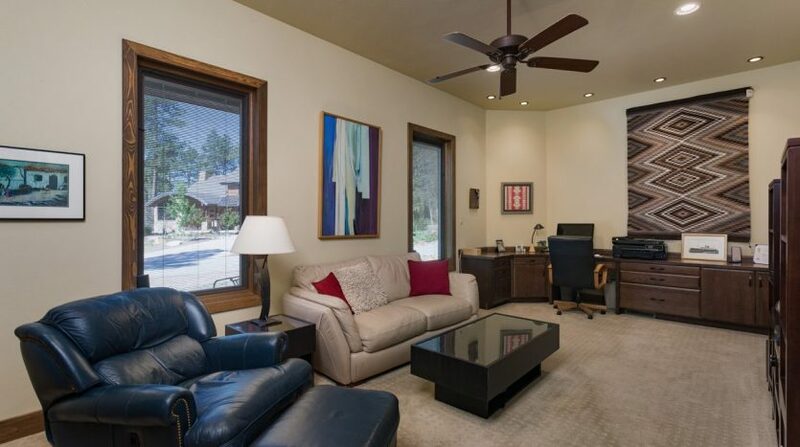 The office/den has a gorgeous built in desk system and shares the powder room. 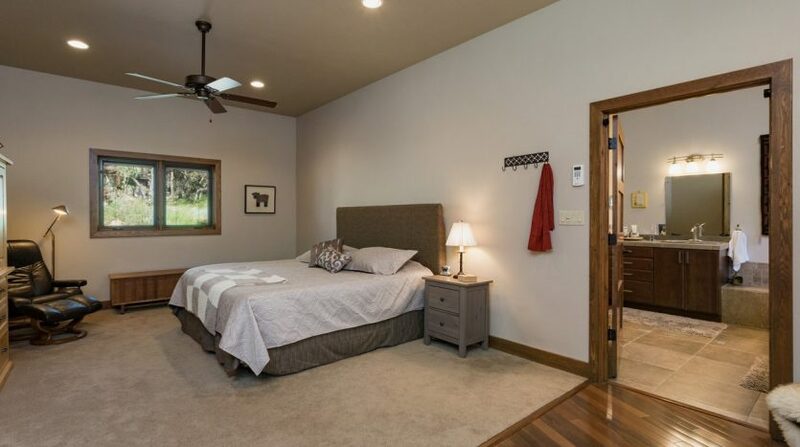 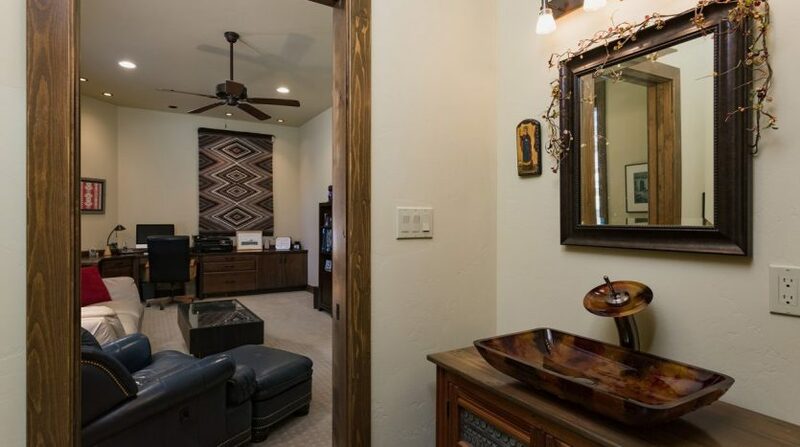 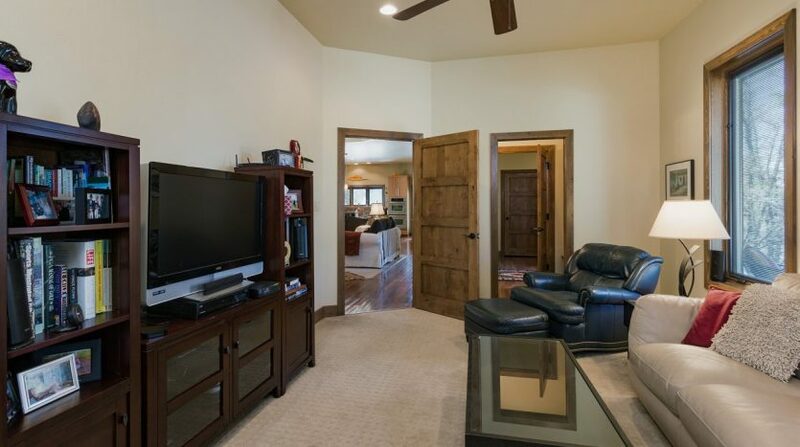 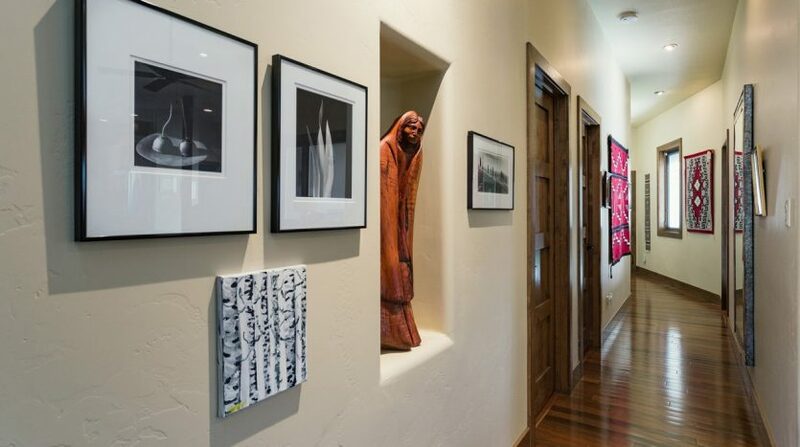 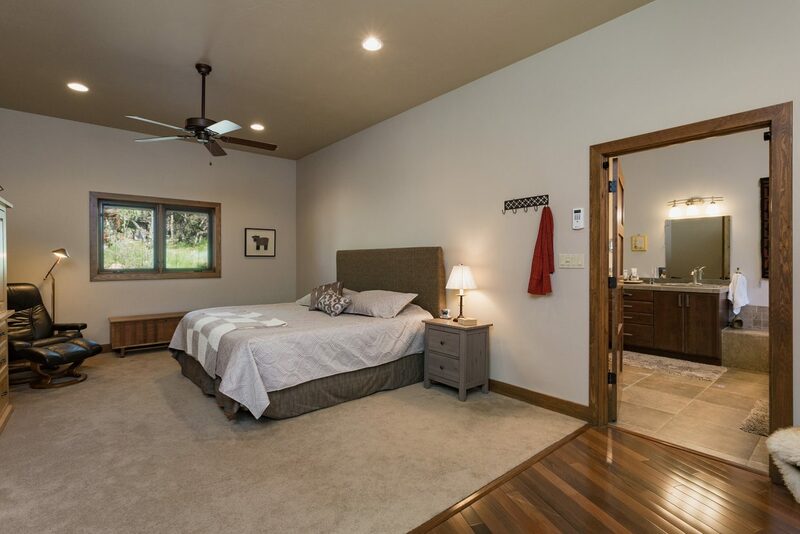 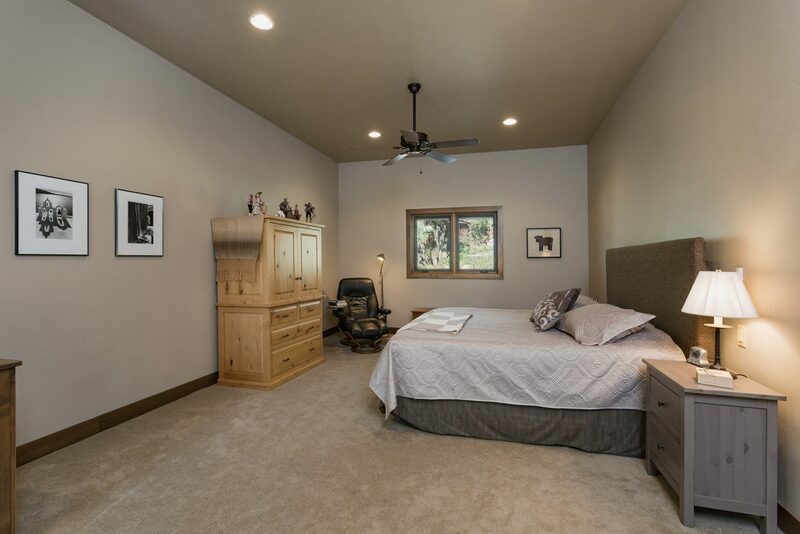 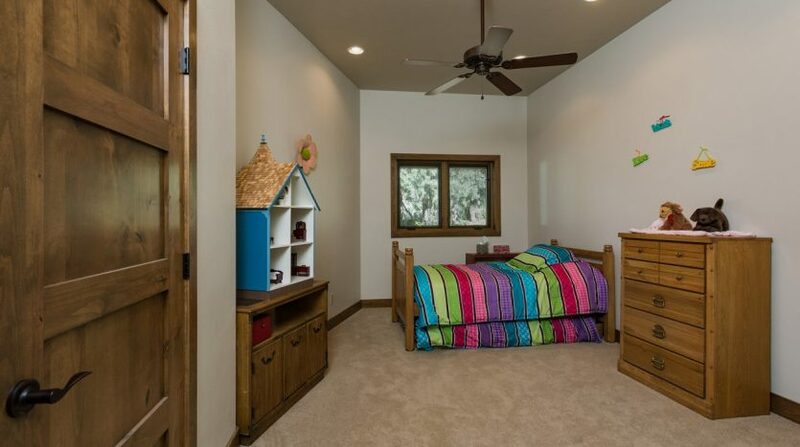 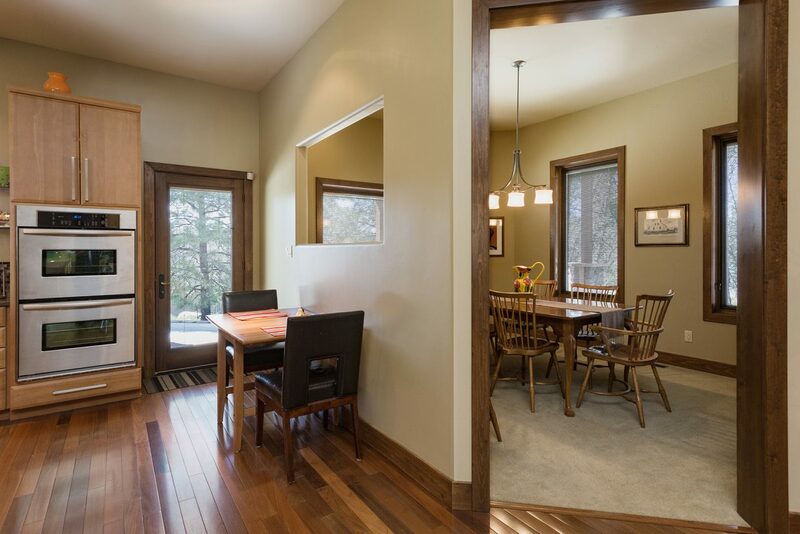 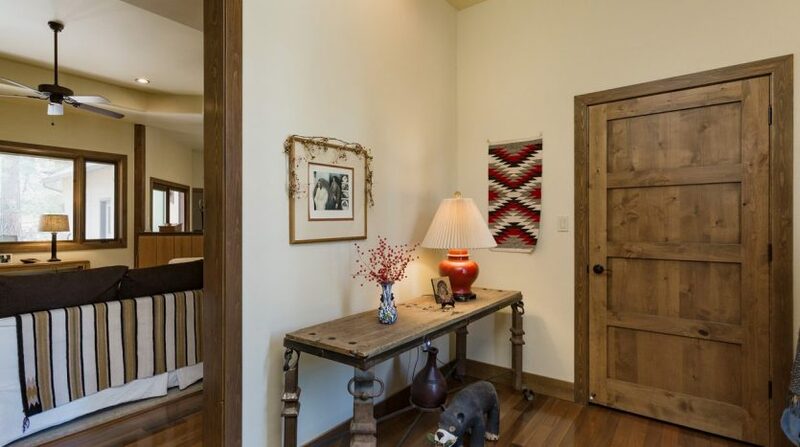 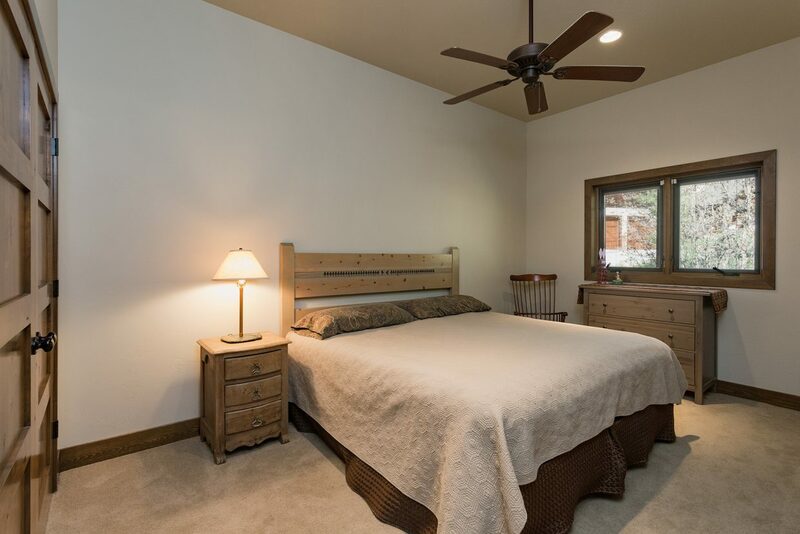 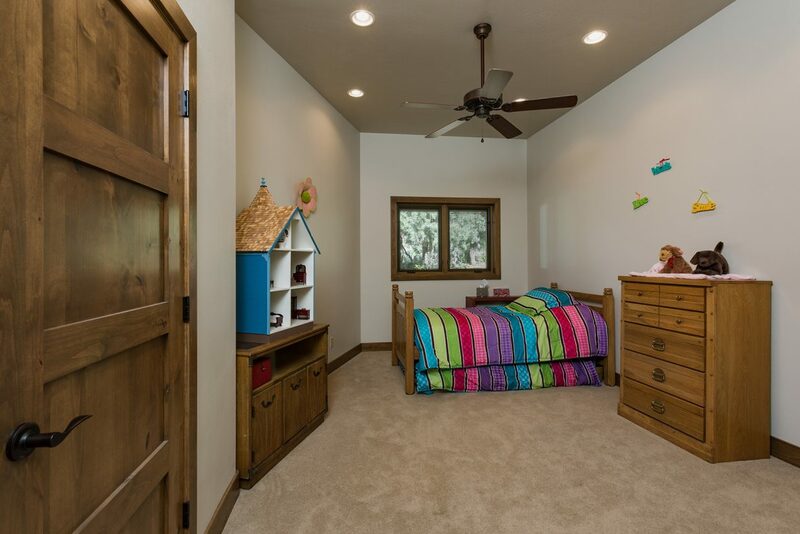 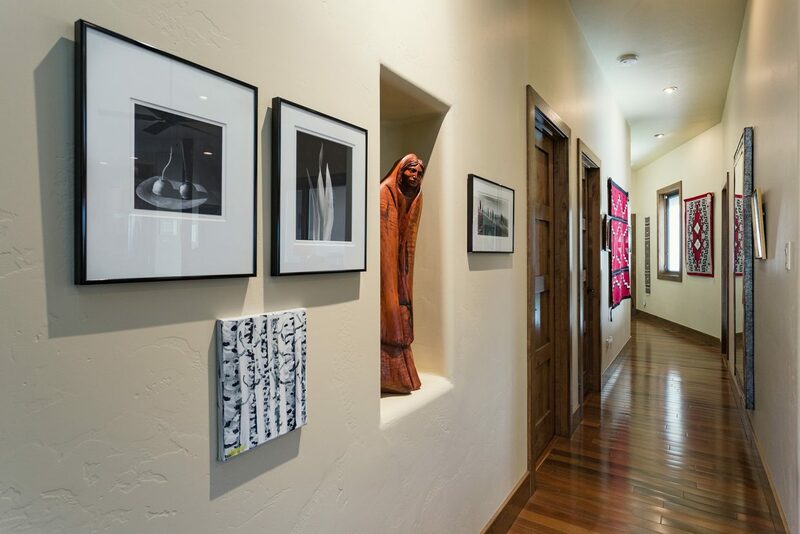 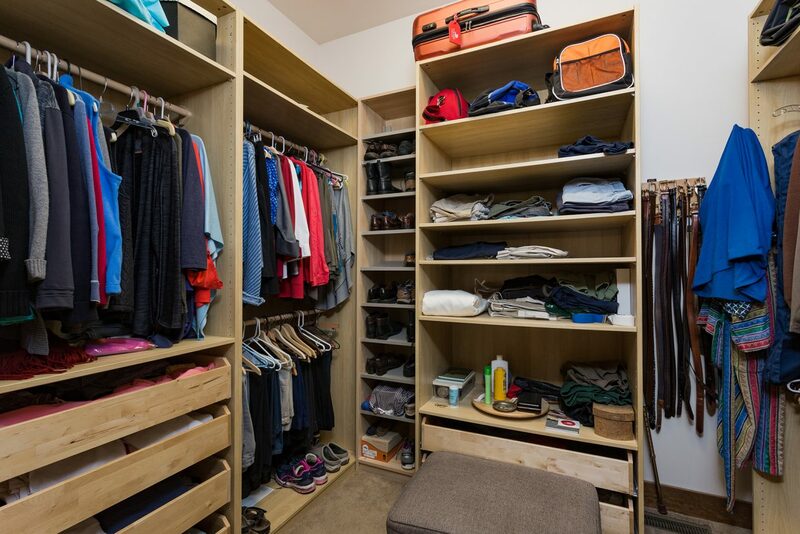 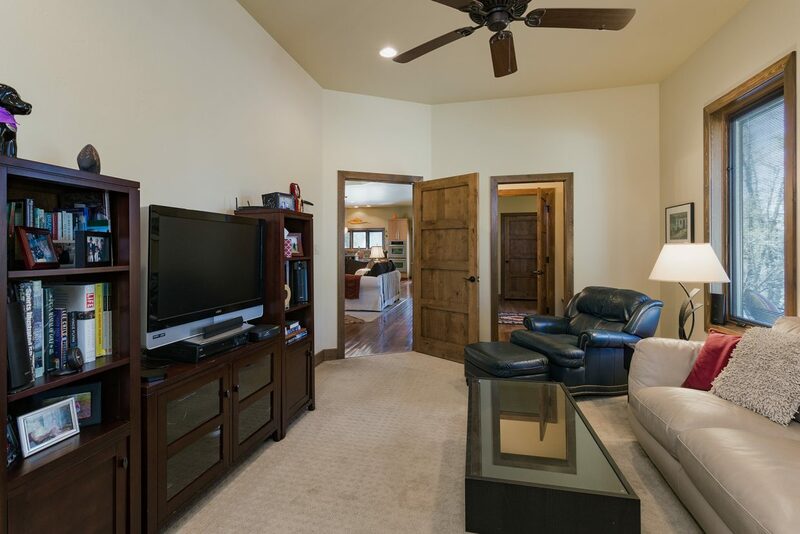 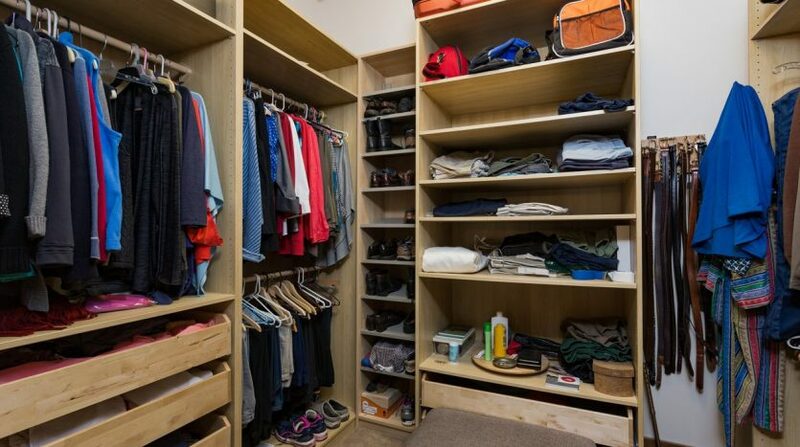 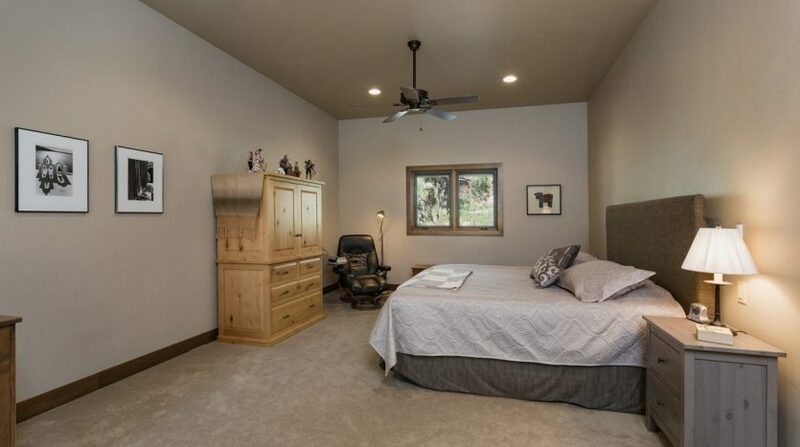 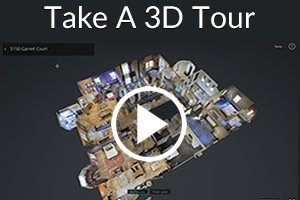 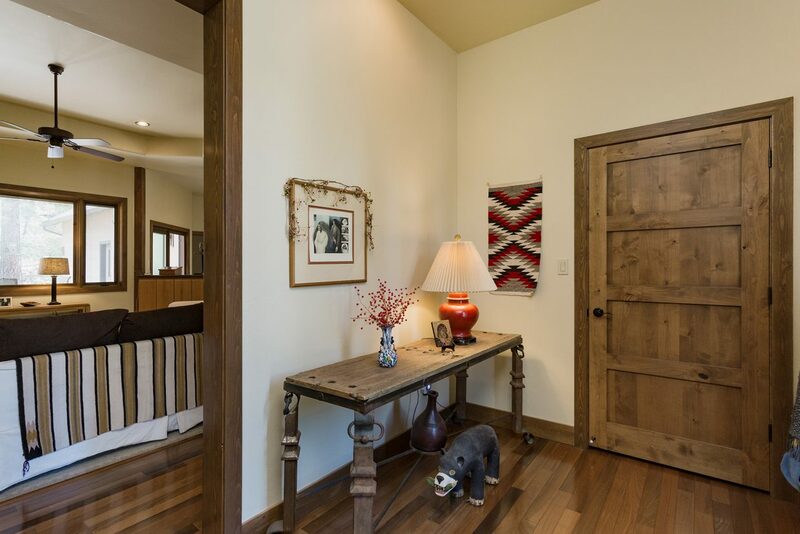 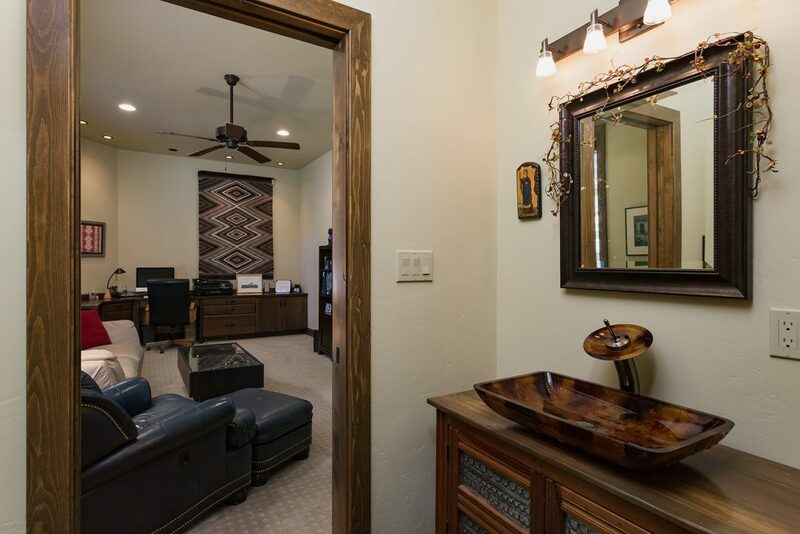 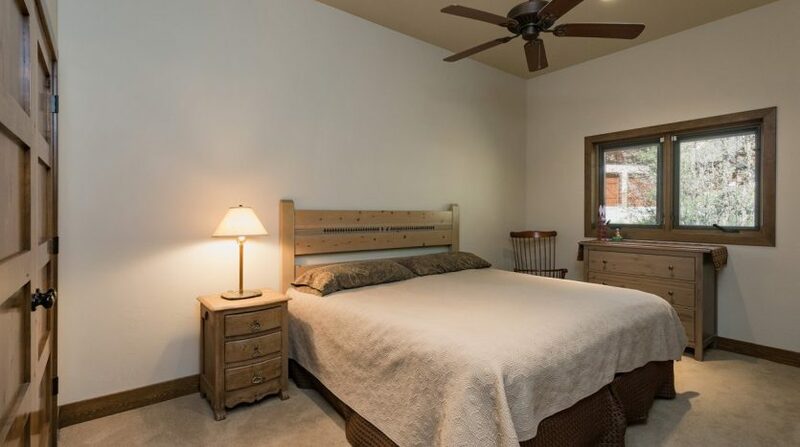 The wider hallways give this home a very open feel as you move toward the three bedrooms including the large Master suite with custom closet providing plenty of room. 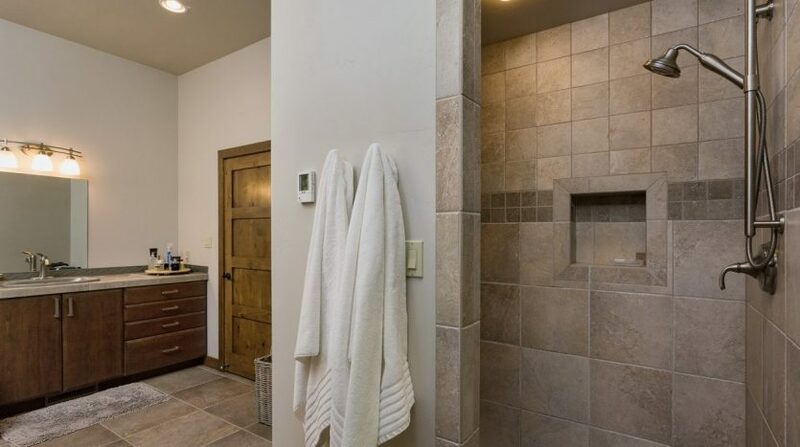 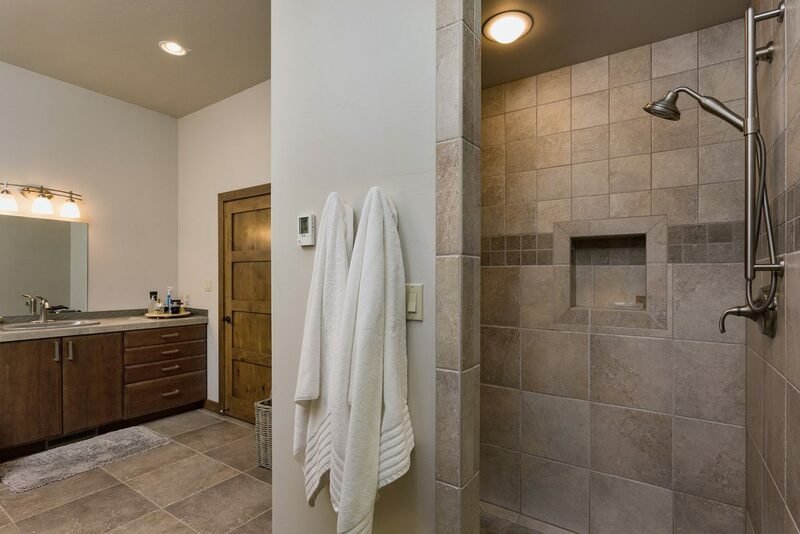 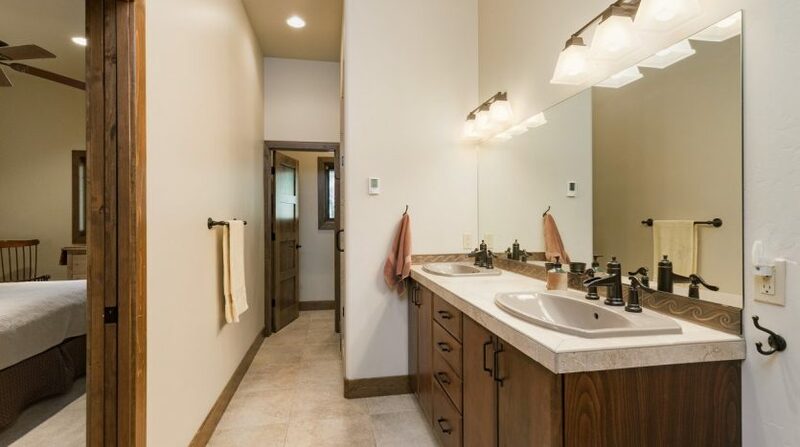 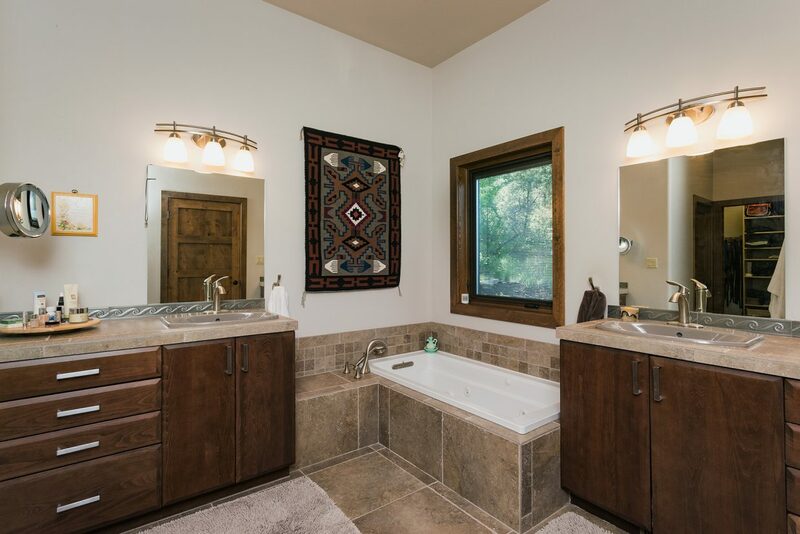 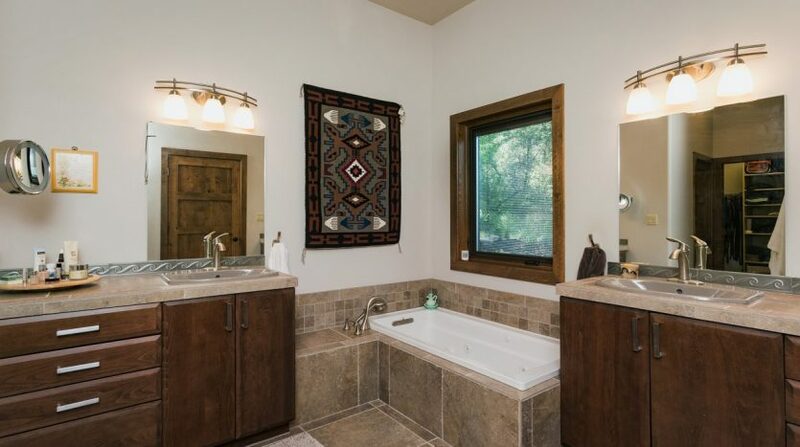 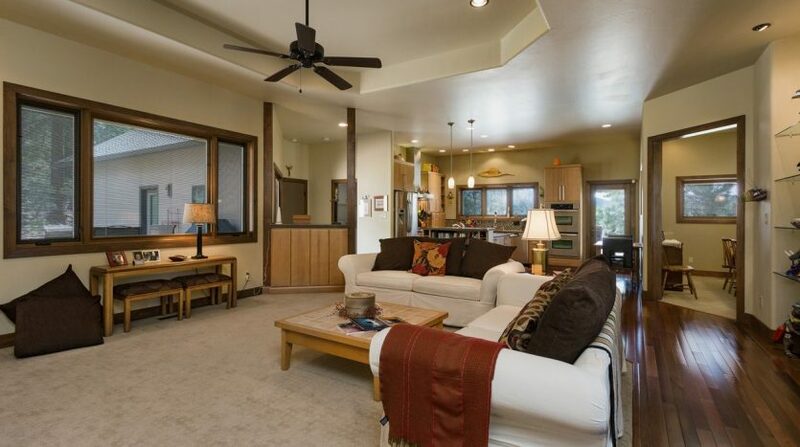 Master bath has an oversized shower and jetted jacuzzi tub with separate vanities. 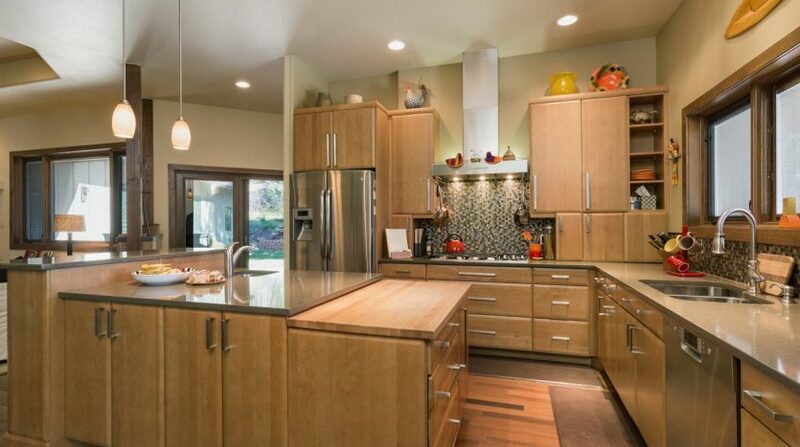 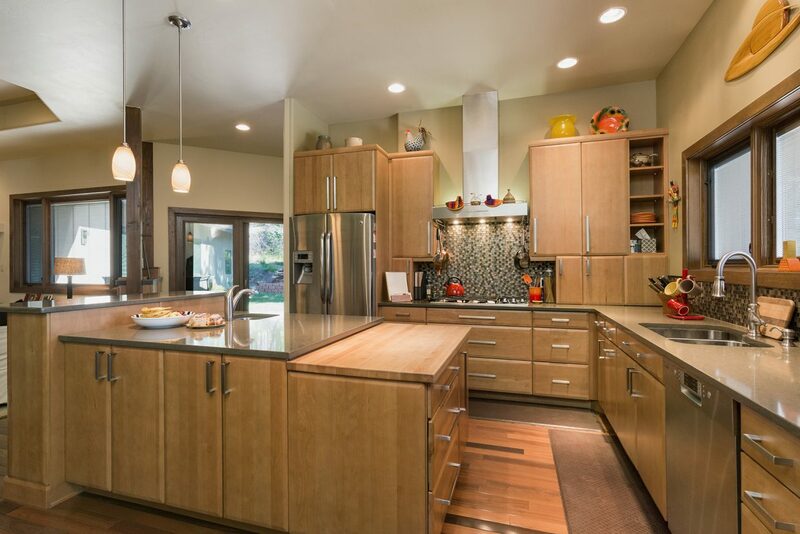 The quality finishes include Brazilian walnut hardwood floors, alder solid wood doors, and maple kitchen cabinets which shine like new. 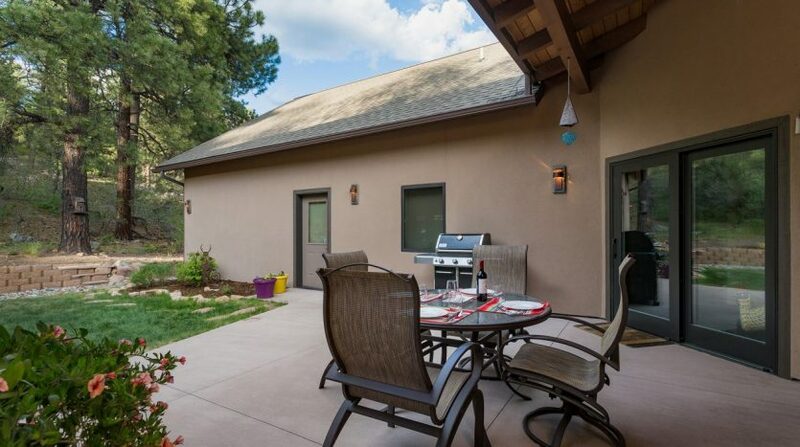 There is a wrap around Trex deck with tongue and groove cover which offers relaxing outdoor enjoyment, along with the private back courtyard patio; a perfect setting for all occasions and has been professionally landscaped with drip system for ease of care. 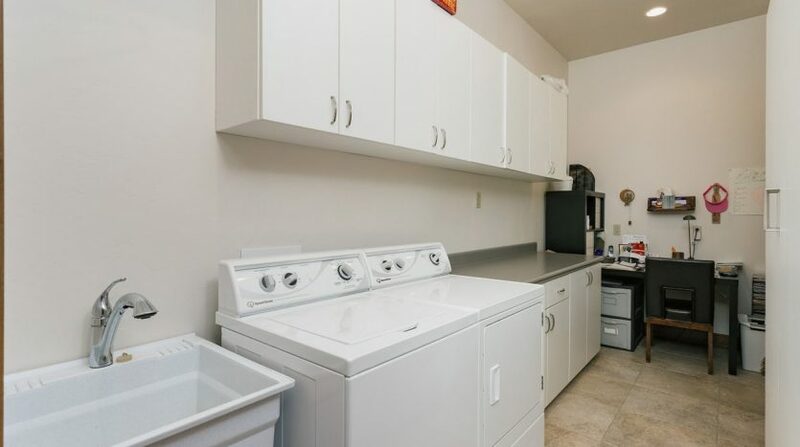 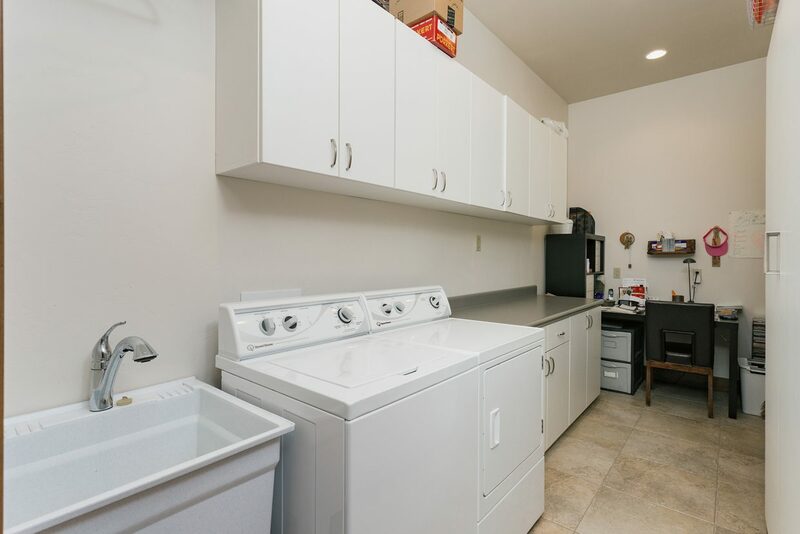 Large utility/laundry room/pantry off kitchen. 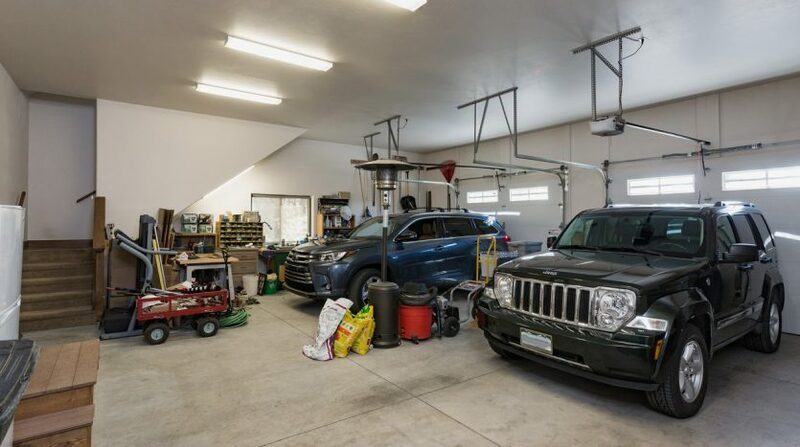 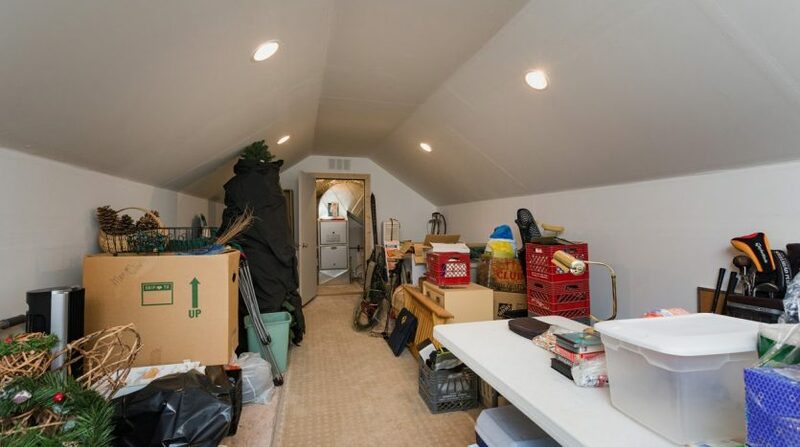 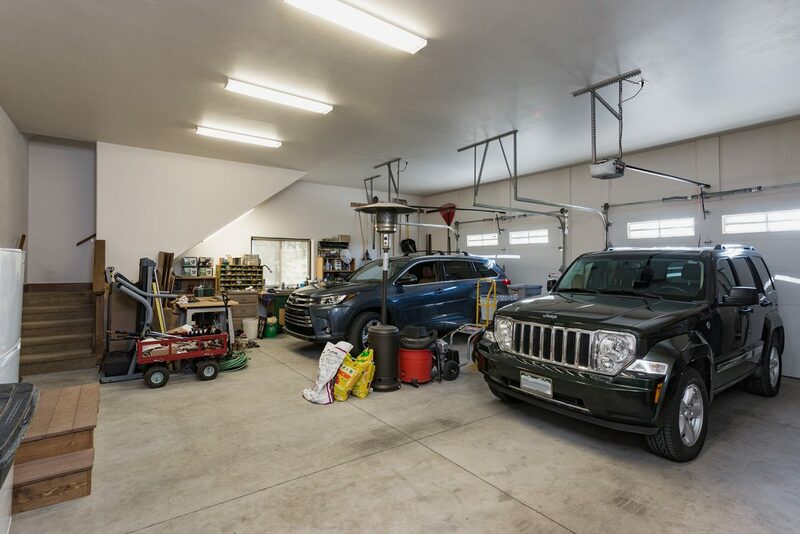 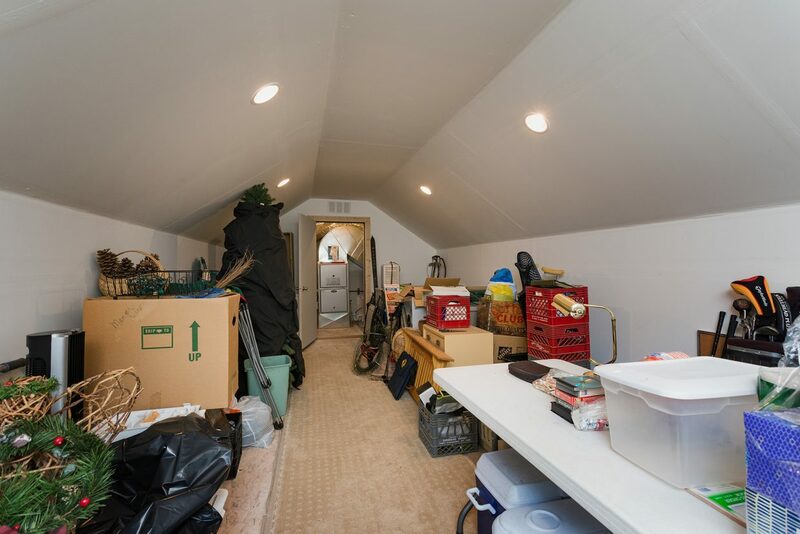 Huge 2 car garage(32 W x 28 D) with sink and hot/cold spigots, and a staircase leading up to a heated and insulated storage or bonus room. 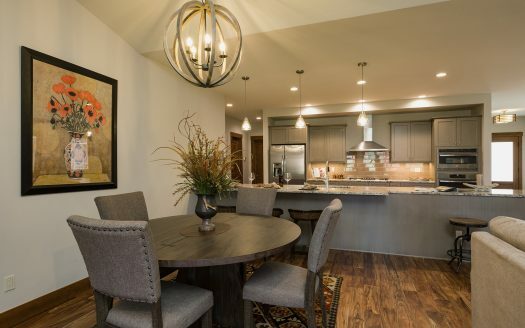 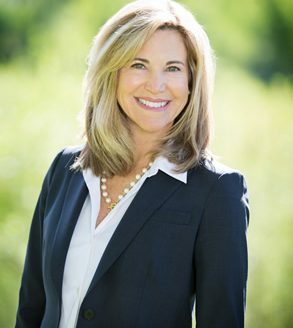 Edgemont Highlands owners and their guests have access to a private mile and a half of the Florida River for fishing and hiking, and over 200 acres dedicated to open space throughout the subdivision. 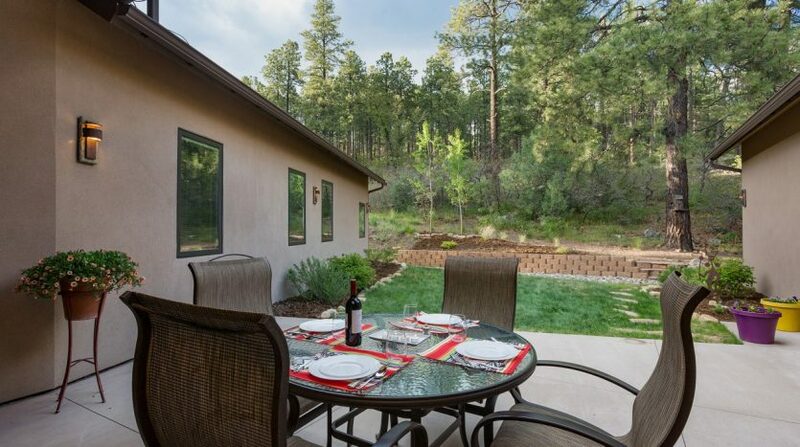 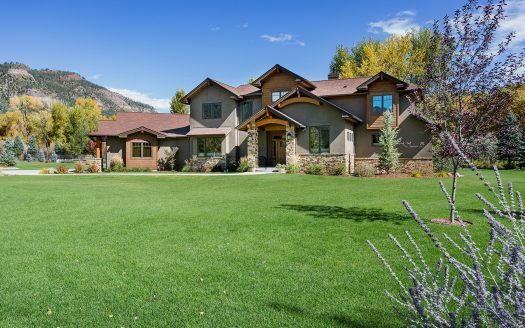 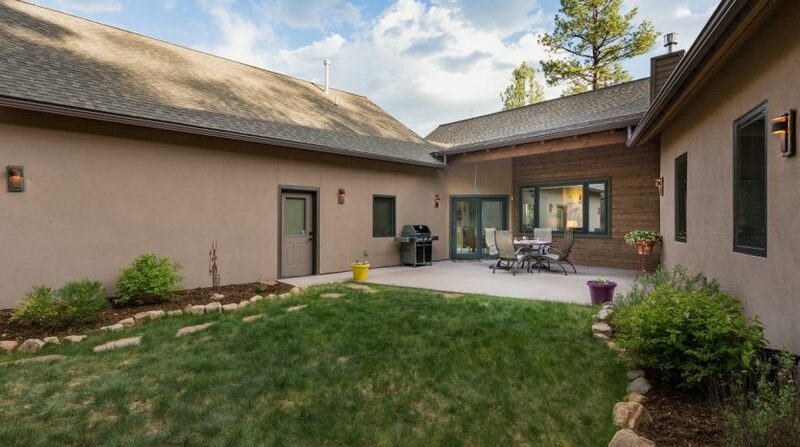 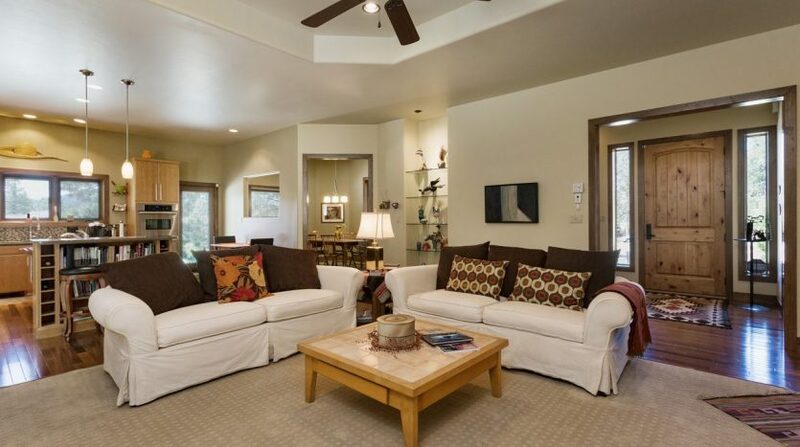 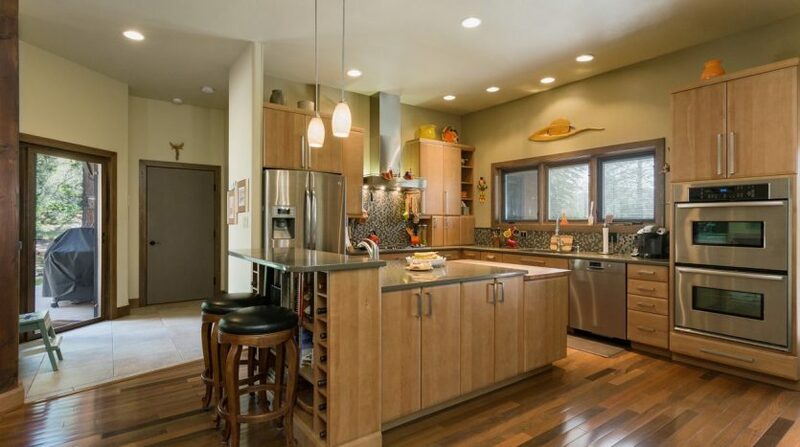 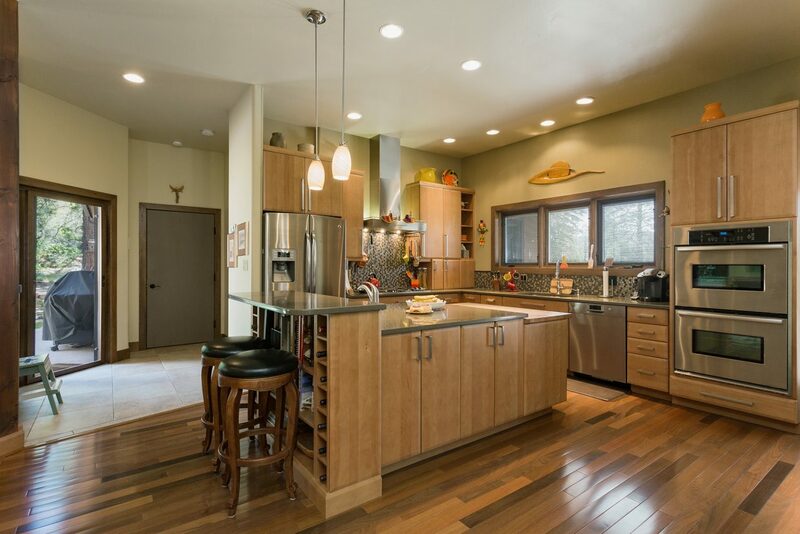 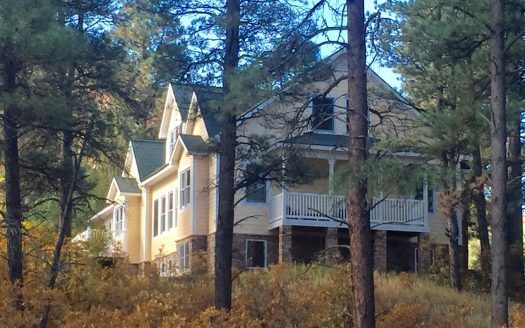 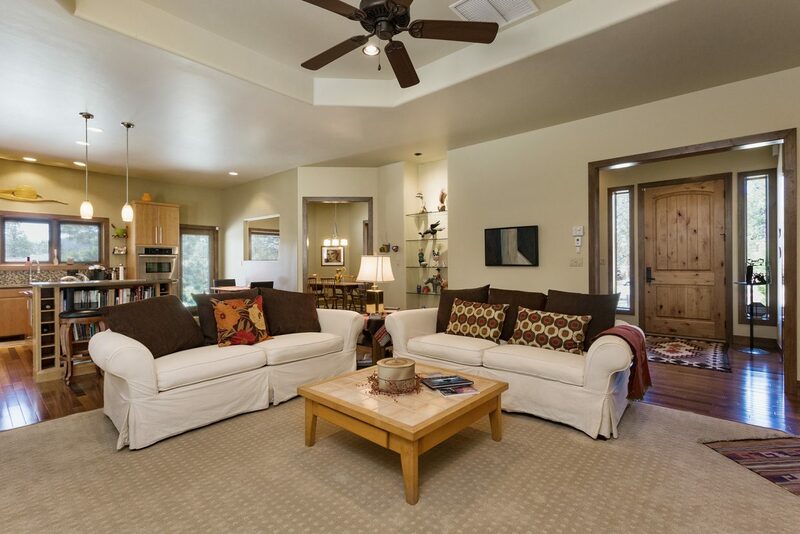 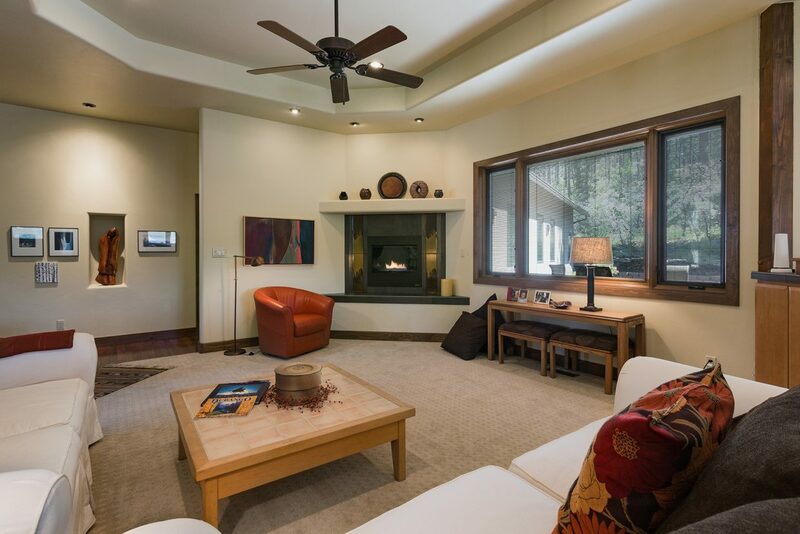 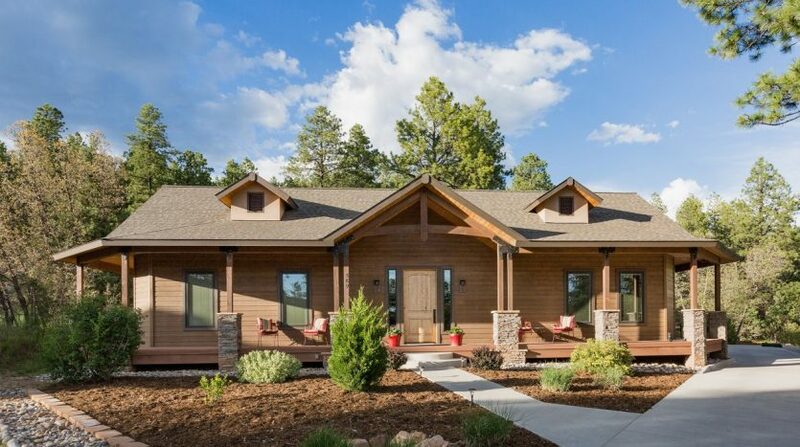 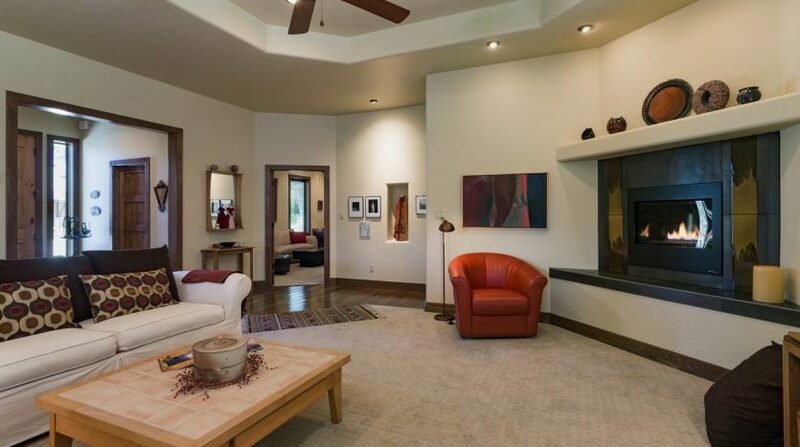 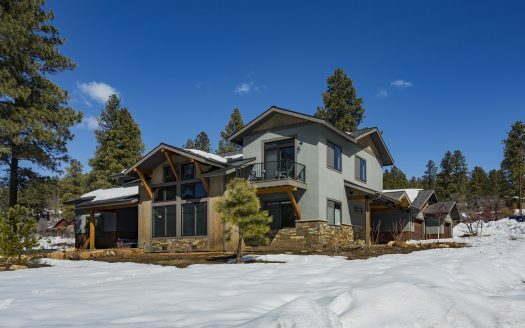 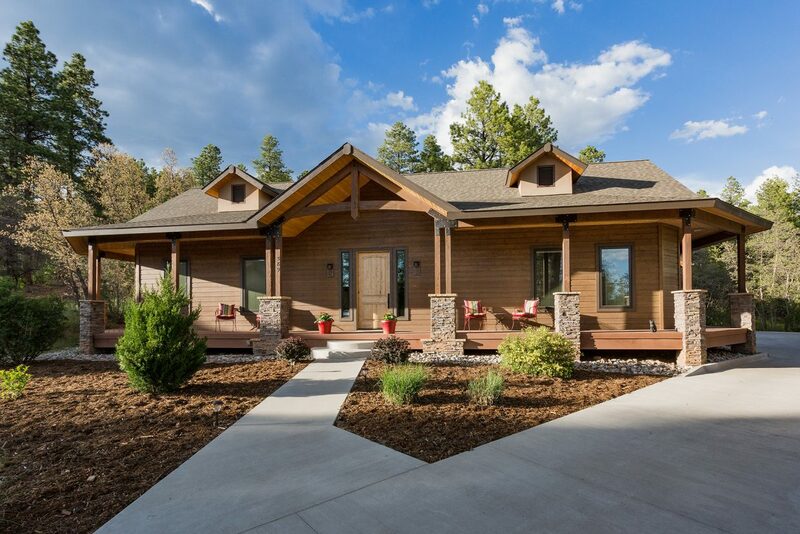 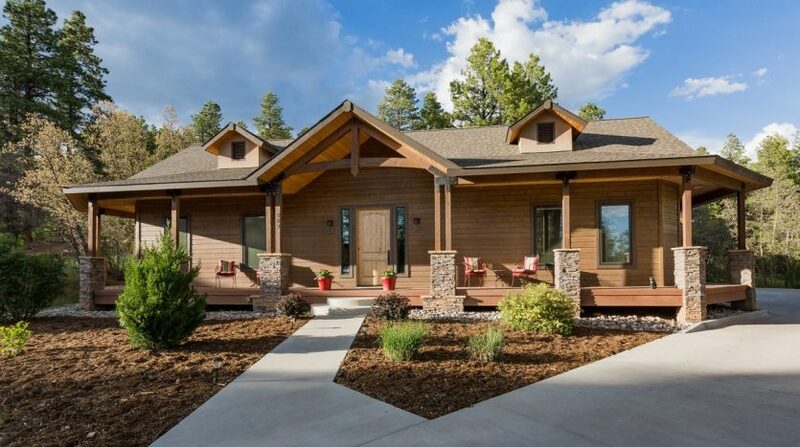 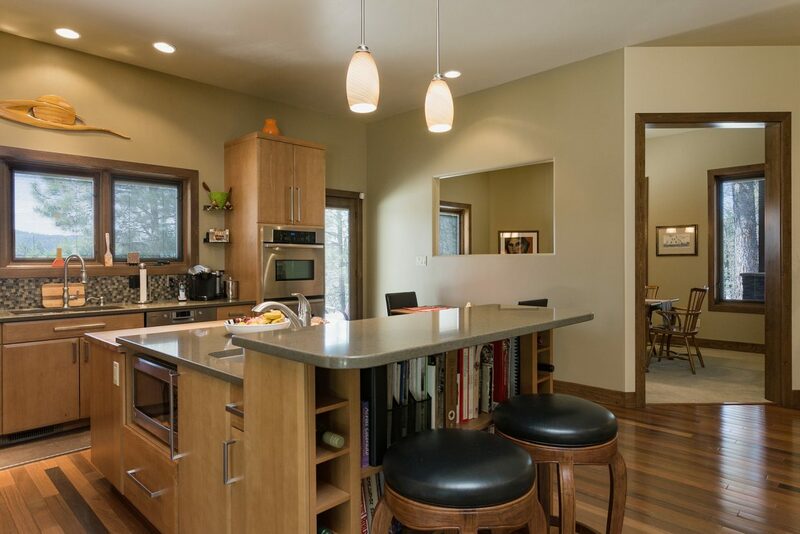 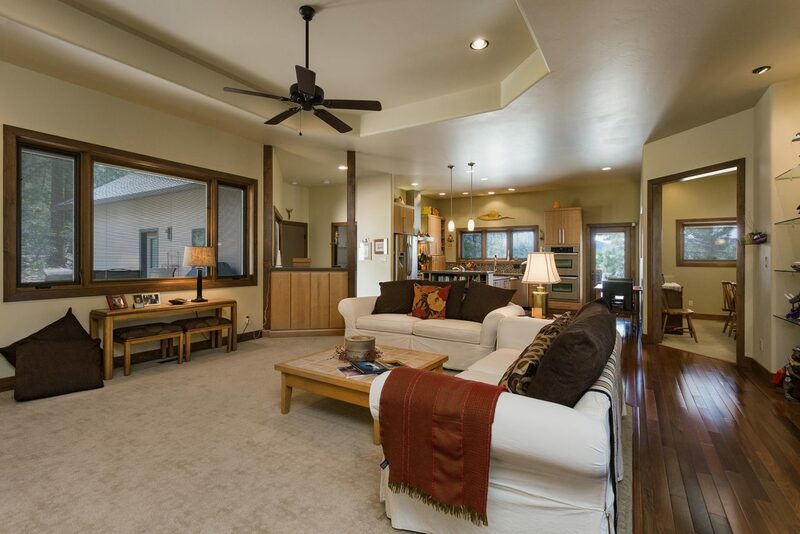 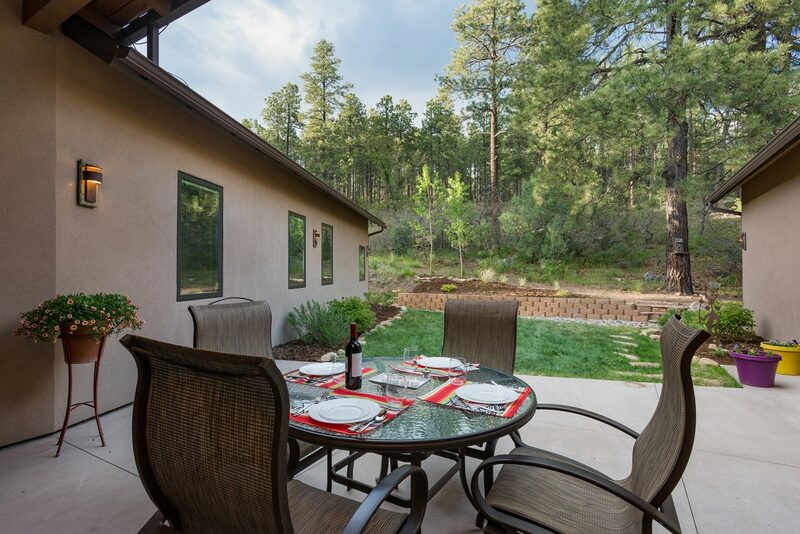 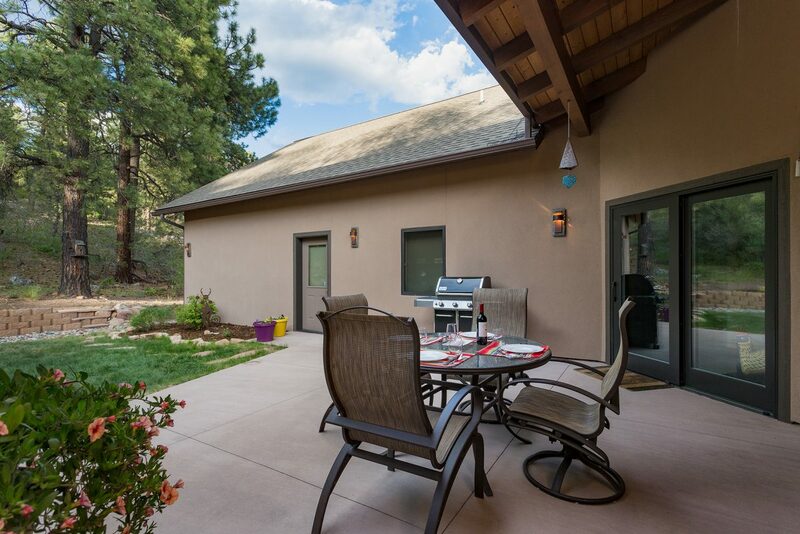 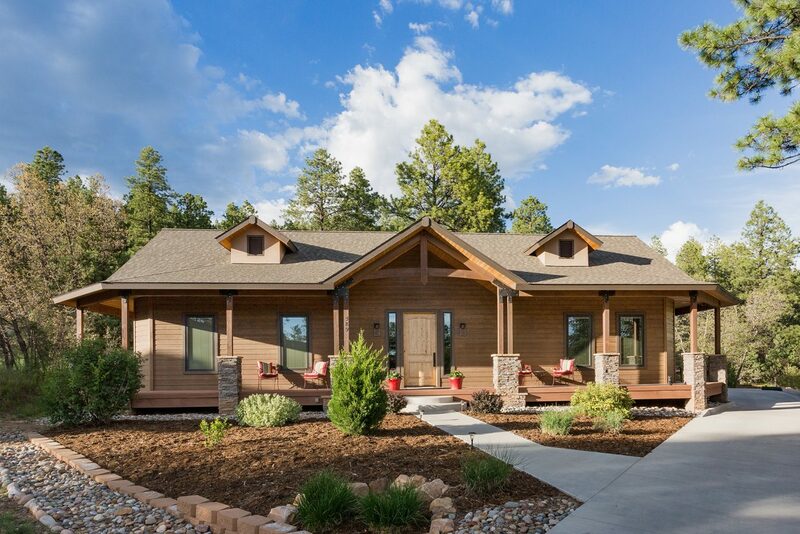 With the close proximity to downtown, this spectacular home is located in one of Durango’s most desirable neighborhoods. 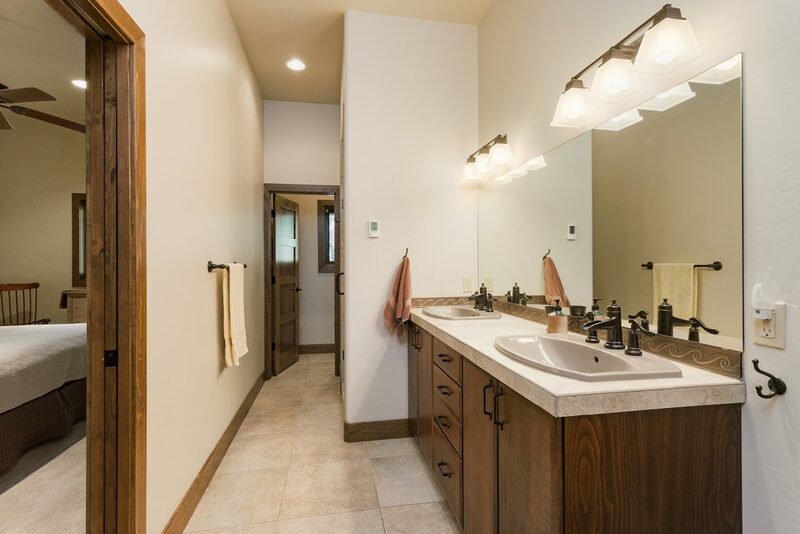 If you’re looking for the best, look no further!